We have begun work on the Mercy House. Our friends from Crossroads Community Church of Naperville, IL funded the foundation. 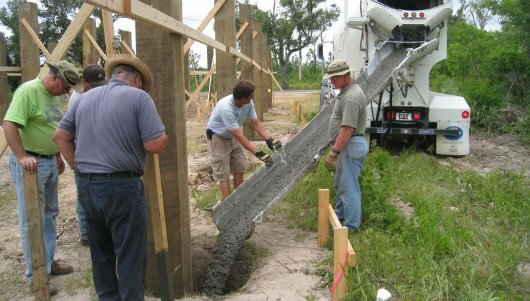 Volunteers from East Hartselle Baptist Church, Hartselle, AL and Central Baptist Church, Decatur, AL along with college students from Georgia set the pilings and concreted them in. 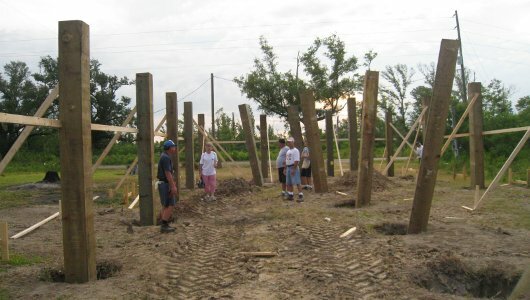 Lord willing, the lumber and trusses from St. Luke’s Lutheran Church, Ann Arbor MI, will arrive on Saturday and volunteers next week from Alabama and Ohio will frame it up.